Wouldn’t it be great to make six figures per year? Congratulations if you already do, but the fact is only 1 out of every 10 working Americans makes $100,000/year or more. That statistic makes it seem like getting into the six figure club is a hard thing to do. Now, I’m not here to suggest that it’s a piece of cake, but I also know that it’s not as difficult as you think it is. You’re just going about it the wrong way. Allow me to introduce you to a framework that I call “The Money Tree.” It’s a new way of thinking about how to earn the amount of money that will allow you to live the life that you want to live. The good news is, you already have everything you need to get there. Watch the video above and I’ll show you how. Have you ever tried to launch a new project, get a new job or make some other significant change in your life, but felt that there were certain forces conspiring against you to make sure that it didn’t happen? Maybe it was your haters. Maybe it was your parents. Maybe it was your boss. Well, if you’ve ever had that feeling I believe I just discovered one more person that you need to add to that list. And, I’m certain you never thought that this person would ever do anything to stand in your way. In the immortal words of Kevin Hart, let me explain. There’s something about stepping out of your comfort zone that can be extremely helpful in bringing clarity into your life. There may be no bigger way to step out of your comfort zone than spending time in a foreign country. Think about it: the language may be different, the food may be different, and the people there may drive on the opposite side of the street. Try as you might, you can’t force the county to fit into your own little routine that you’ve been accustomed to living in, you’ll be forced to adapt to it. When I accepted the opportunity to teach a business course at the campus of my alma mater, Carnegie Mellon University, in Qatar, I had some idea of what to expect. Still, I had some apprehension about things that I felt might provide me with some discomfort. What was I going to eat? Will the Internet be reliable enough? What happens when Ramadan starts? The funny thing about doing something you’ve never done or going somewhere you’ve never been before is that you never actually know the things that you should truly be concerned about because, well, you’ve never done or been there before. To get the most out of a new experience you have to embrace the challenge and not be paralyzed by what you don’t know. Just because something is widely believed, it doesn’t mean that it’s true. Today, we’re debunking 10 of the top myths in personal finance. Do you have a myth you’re trying to get to the bottom of? Hit me up and I’ll help you get the truth about it! Enjoyed this video? Let’s Connect! MoneyMonday – Why Should Olympians Have All the Fun? All eyes, and tweets, are on the Summer Olympics in London. Sure, if you could win one of those “gold” medals over there, that would be sweet. But what if your talents include things other than running fast or jumping high? 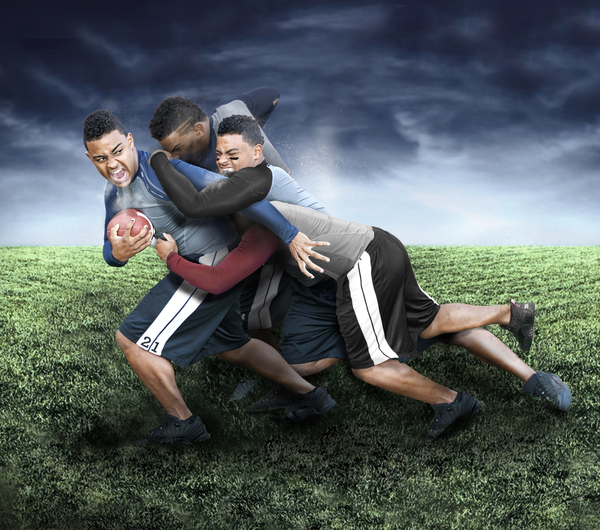 There are many other ways to be just as successful as those top athletes. Here are tips on how to “go for the gold” in your own field of endeavor. Why Should Rappers Have All the Fun? So, you guys already know that I work as a financial advisor to professional athletes and entertainers. I really enjoy what I do, but sometimes, it has unintended consequences. I speak to lots of kids, and when they find out what I do, all of their concern and attention shifts to “Wow, how much money does [that celebrity] make?” or “What kind of car do they drive?” or “I bet [that celebrity] has a HUGE crib, right?” Now, all of those things are valid questions, especially given that TV has conditioned us to be enamored with the “lifestyles of the rich and famous.” But, focusing on the lives of prominent athletes and entertainers can give our kids an incomplete perception of what success really looks like. Even worse, it may lead them to believe that if they can’t rap, act, sing, dance, or shoot a basketball, then they may not be able to live the type of life that they desperately want to live. I mean, these kids can’t really think that “Love and Hip Hop: Atlanta”, “UnReal Housewives of Blah Blah Blah” or “Kim and Kourtney Take Acting Lessons” really tells the entire story…do they??? That’s when I had my epiphany. I realized that as a financial advisor, I have also come into contact with, and have as clients, a plethora of doctors, lawyers, accountants, architects, business people and entrepreneurs that are living fabulous lives. In fact, many of these individuals live lives that are far more enriching than a number of these celebrities, because of the fact that, due to their inability to manage their money, the average celebrity’s “high life” is short lived. However, the stories of these wildly successful “non-celebrities” has largely gone untold…until now. Enter “The Best Kept Secret.” I’ve developed this online show to expose viewers to individuals that have become very successful in fields other than sports and entertainment. And I mean REAL success. Not the sort of “I’m on a reality show, so I will make it look like I’m rich, but my home is getting foreclosed on next week” type of (fake) success. In the coming months, I’ll introduce you to and tell the stories of people that look like you, sound like you, came from where you came from and found a way to make it big. I’ll also give you the blueprint so that you can do it to. Check out the video above which sets the stage for why I decided to put this project together. When you see the looks on the student’s faces, you’ll know why. I’m also certain that you too, will enjoy learning how to get closer to living the life of your wildest dreams. Because after all, why should rappers have all the fun? Do you know someone that should be featured on “The Best Kept Secret?” Email me at rob@robwilson.tv! Special shoutout to @Emmai_Alaquiva, PNC Bank, the Heinz Endowments and Urban Pathways Charter School for getting this project off the ground!!! I know that you will enjoy the time off on the 4th of July. But, think of all of the days that you would enjoy if you were financially independent. Check out this edition of MoneyMonday for my thoughts an what financial independence really is and how to get it. You guys are out there working very hard and you deserve a vacation. However, even while you are relaxing, you can be thinking about your financial vitality. Here are my tips on how to make money during your time off. Mark Zuckerberg Gets His Billions Today, Are Ready to Get Yours? I shouldn’t be shocked at the hype over the Facebook IPO today, but I am. It’s on every channel. I think that I even heard that Bert and Ernie were on Sesame Street discussing where they think the shares will open this morning. It’s an amazing story…the American Dream. Go to a great school, dream up a great idea, start a great company, take it public, make a billion. I’m extremely happy for Mark and the countless other Facebook executives, employees and early investors that with become financially independent today. They deserve it. I’ve been able build my business and also meet and keep in touch with a number of very special people in my life because of Facebook, and for that I am grateful. I think some of you that have been asking about how to buy shares in this company are missing the point. Sure, shares in Facebook may turn out to be a good investment. I wish that I had a crystal ball and could reduce the uncertainty in that for you. What I am certain about however, is that we are smack dab in the middle of a time period that provides you with an unprecedented opportunity to live the type of life that you want to live…by investing in yourself, and your ideas and your passion…rather than in the shares of someone else’s. There is no reason that you cannot be the next Mark Zuckerberg. Because of Google, information is largely free. You can learn how to do almost anything online for free (ALMOST: I don’t think that I want to have surgery from an online educated physician). In fact, you can take REAL courses from Harvard and MIT online for FREE (video: http://youtu.be/tKZ2SYjALts). Remember that excuse about not being able to afford school, especially a good school…GONE. You have no more excuses for not reaching for the life that you deserve. The internet is the most significant, game changing, playing field leveling invention perhaps in history. You can do things, largely for free, that would have been unthinkable only a few short years ago. So if you don’t pick up any Facebook shares today, don’t fret. The opportunities are still there, waiting for you. You have the ability and the tools at your fingertips to make your life’s profile page look exactly how you want it to look. Now go and hit the “Like” button on that. The Mega Millions jackpot has hit a record $640 million dollars. Here’s what to do if you win. Fact: One of my clients hit the lottery a few years ago, so I have experience working with lottery winners. This year, I was fortunate enough to be honored by the Pittsburgh Courier as one of its 2010 50 Men of Excellence! It was a pretty awesome event, held at the Omni William Penn hotel downtown, and I was great to be recognized with all of the other talented individuals! I was also recognized as the Entrepreneur of the Year by the Pittsburgh chapter of the National Black MBA Association! 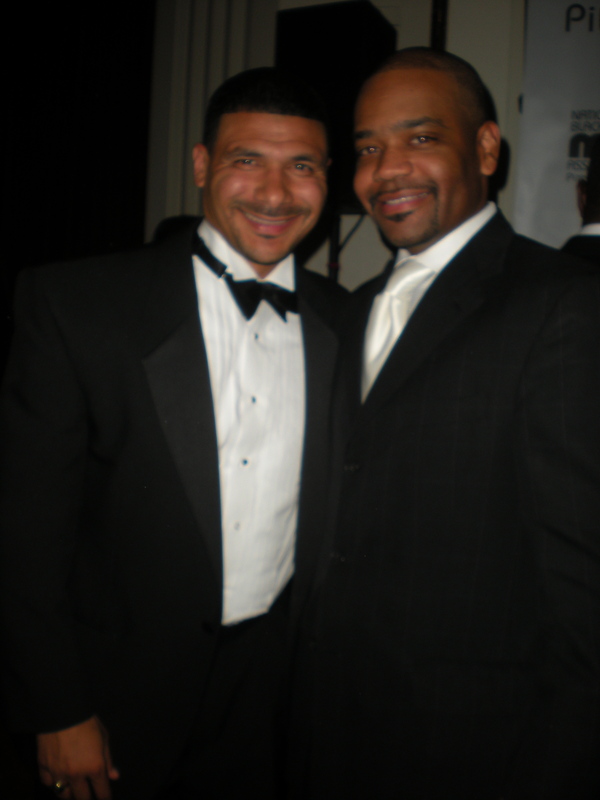 There I had an opportunity to meet at chat with CNN Education contributor Dr. Steve Perry. Listening to him for a few minutes will make you want to immediately run out and start your own school! The Cake Boss meets…the cake boss? 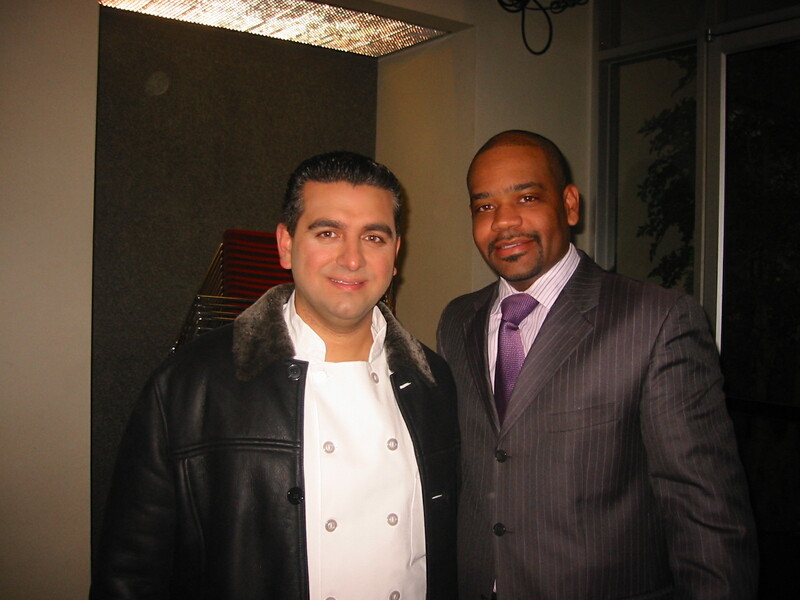 I was also lucky enough to meet famous entrepreneur and star of the hit reality show Cake Boss, Buddy Valastro when he stopped by KDKA to promote his new book, Cake Boss: Stories and Recipes from Mia Famiglia. Both of these guys are great examples of what’s possible when you are really passionate about something and you pursue it with everything you’ve got….now go get to work!